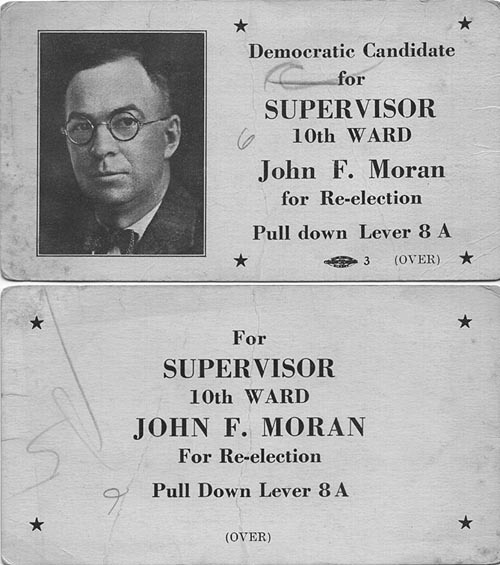 Democratic Candidate for Supervisor, 10th Ward, John F. Moran for Re-election, Pull down Lever 8 A. Are you looking for MORAN ancestors? If so, we suggest posting a query to our Community Message Board to get assistance from other researchers.